The year 2017 was a breakthrough year for legal online gambling in NJ. Our exclusive white paper — 2017 Year In Review: The Performance Of New Jersey’s Legal Online Casinos — provides an in-depth breakdown of how the market at large, and individual casinos within that market, fared in the fourth year of operation for regulated online gambling in the Garden State. 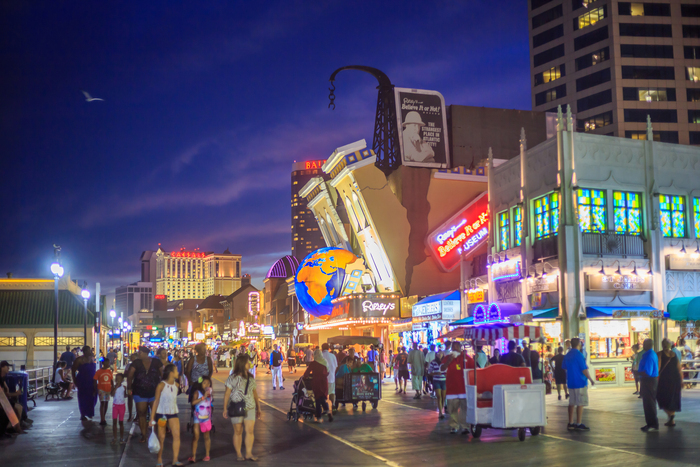 New Jersey launched legal online gambling in late 2013, and the state has seen revenues grow each year since launch. The primary driver of regulated online gambling in the state has been casino games, which account for about 95 percent of all revenue, with poker providing the remaining 10 percent. More growth is expected in 2018. While the growth may not be as dramatic as it has been in past years, we believe that established brands — including Golden Nugget’s online casino, Betfair NJ, Tropicana’s online casino, Virgin online casino, and Caesars casino online — have plenty of room to expand their customer base and revenues. New games and improved payment options will be two of the major engines behind that growth. But we’ll also see more consumers using the sites as marketing and awareness continue to increase. Meanwhile, we expect some new brands to enter the market to help stimulate growth in the market. All eyes are on the Hard Rock’s timeline for launch in New Jersey, as it’s believed the online casino arm of the Hard Rock will follow the launch of the land-based casino. And the recent confirmation that Revel has been sold and will be branded as the Ocean Resort Casino and is applying for an online gambling license adds yet another NJ online casino to the mix.